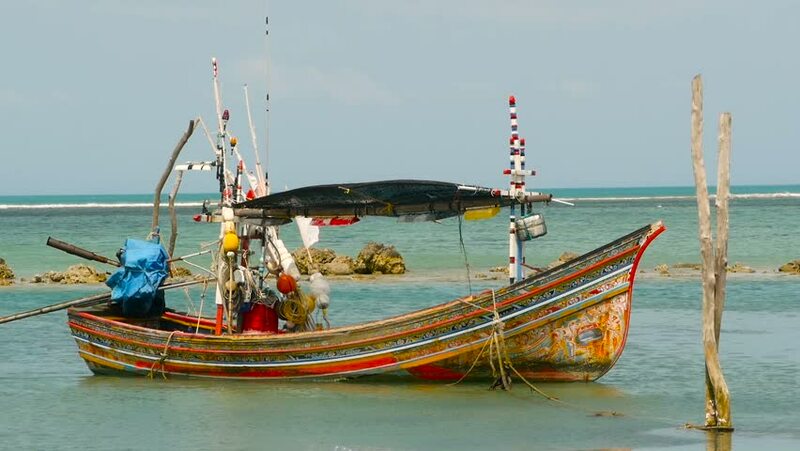 Tropical ocean beach landscape with moored small wooden traditional colorful fishing boat. Seascape near asian poor Muslim fisherman village on Koh Samui island in Thailand. Flags and lamps aboard. hd00:16Tropical ocean beach landscape with moored small wooden traditional colorful fishing boat. Seascape near asian poor Muslim fisherman village on Koh Samui island in Thailand. Flags and lamps aboard. 4k00:09WHITBY, ENGLAND - JUNE 10: Pirate ship pleasure boat returns to Whitby harbour. In Whitby, England. On 10th June 2018.
hd00:12Tropical ocean beach landscape with moored small wooden traditional colorful fishing boat. Seascape near asian poor Muslim fisherman village on Koh Samui island in Thailand. Flags and lamps aboard.